Virtually everyone who knows me has seen my hair only one way- long and straight. Don’t get me wrong, I love my straight hair, but as my hairdresser sister has told me (many times), sometimes you need to mix it up! But I’m a busy mom with four kids, and although I usually do full makeup each day, my hair is always the same. I love the big bouncy curls that celebrities flaunt on the red carpet, but my hair never looks like that after I get a curling iron to it, not to mention the multiple burns I accidentally inflict on myself in the process! There’s got to be an easier way, right?! Well now there is! It’s called Conair Curl Secret! 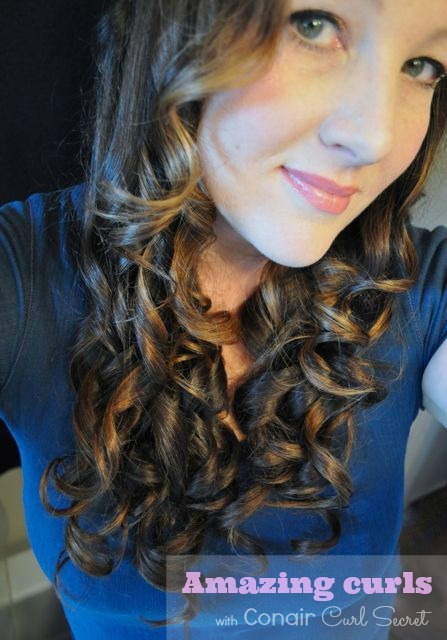 Conair has an amazing new product out called Curl Secret that I bought this week at Walmart for $99 (which is a great deal considering it sells for $150 on http://buycurlsecret.com and www.curlsecret.com). It is nothing short of breathtakingly AMAZING!! In under 15 minutes, I transformed my whole head of hair into a bouncy, beautiful mass of curls that I never thought possible for my stick straight hair! The cool thing about Conair Curl Secret is that there is virtually no work involved- the machine does all the work for you, because it’s an automatic curling iron! And, unlike a traditional curling iron, there’s no chance of burning your fingers, and you don’t have to guess when the curl is done. Check out this 30 second video that shows you exactly how Curl Secret works- I promise you will be amazed! Cool, right?! 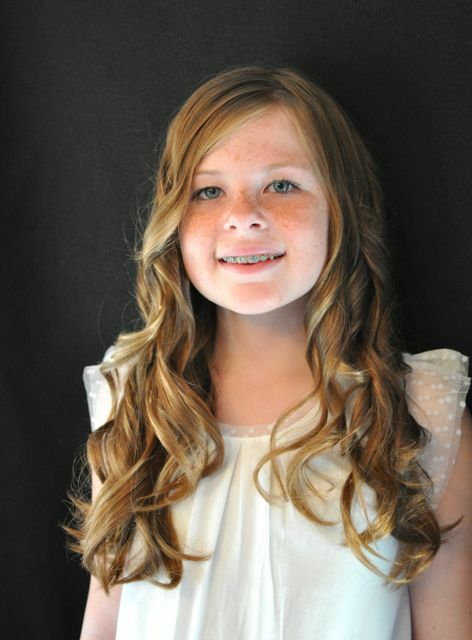 My pre-teen daughter and I had some fun together doing our hair, and she was a pro at using the Curl Secret! It’s so easy, and she couldn’t burn herself, so I had no worries about letting her use it herself to create her own hairstyle. 1. Turn on the Conair Curl Secret. It’s ready to go once the temperature indicator light stops blinking (which only takes a minute or two). 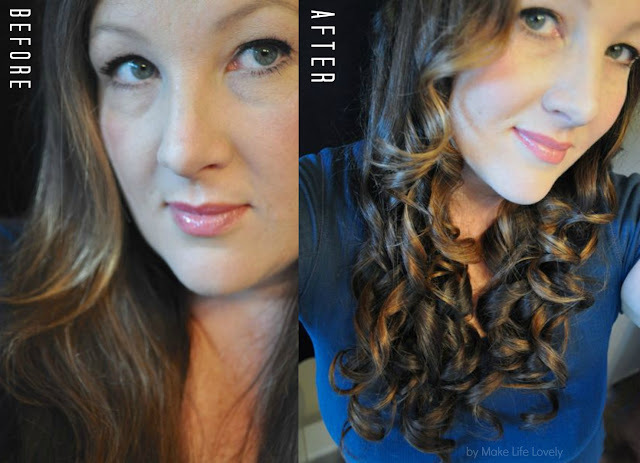 Decide what type of curl you would like- tight spiral curls, or bigger curls or waves. 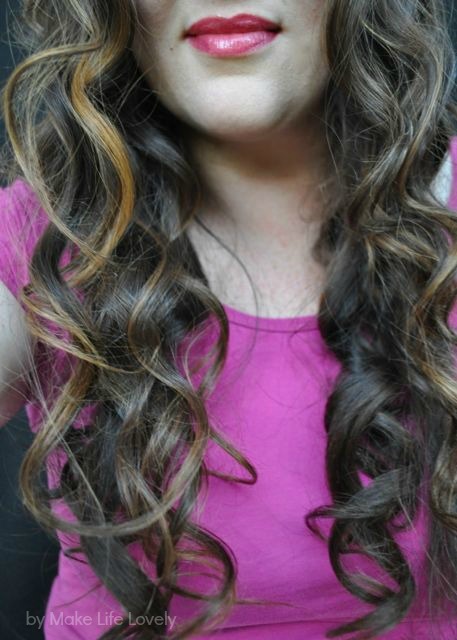 For tight curls, turn the setting on the appliance to high, and the 10 or 12 second timer setting. 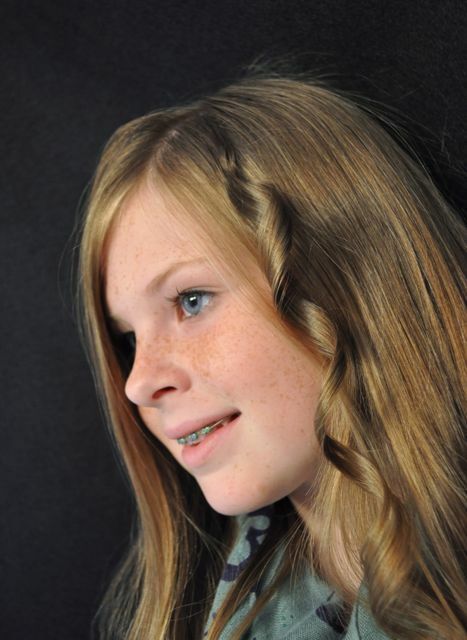 For looser curls or waves, use the low setting, and 8 or 10 second timer setting. Try out different combinations and see which settings you prefer for your hair to achieve the look that you love! 2. Completely brush your hair, making sure it is nice and smooth. Take a small 1/2 inch- 1 inch section of hair. Place the styler where you want the curl to start on your hair, making sure that opening of the curl chamber (the circle part) is facing toward the head. 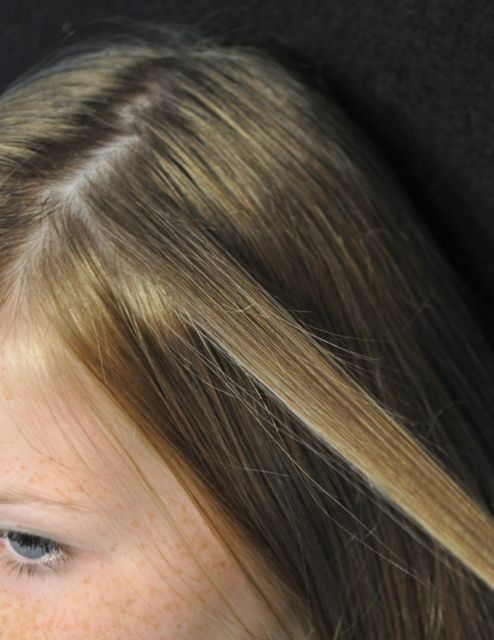 Place the brushed section of hair into the hair guide of the machine, let go of the hair, and close the handle. 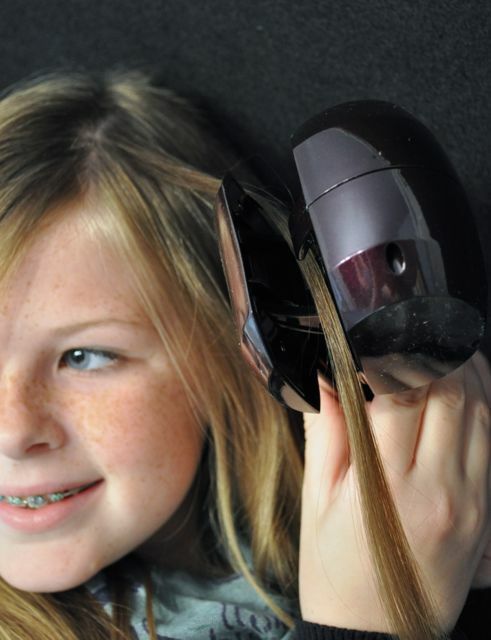 Be amazed as your hair is automatically taken into the curl chamber! 3. The machine will beep four times, and after the fourth beep, simply release the hair by opening up the Curl Secret, and release your pretty curled hair! Repeat with the rest of your hair. No burnt fingers, no hour spent on curls that don’t last… these curls are easy, long lasting, and fast! I spent only 15 minutes curling my entire head, and less than 15 minutes curling my daughter’s hair. Simply amazing!! 4. 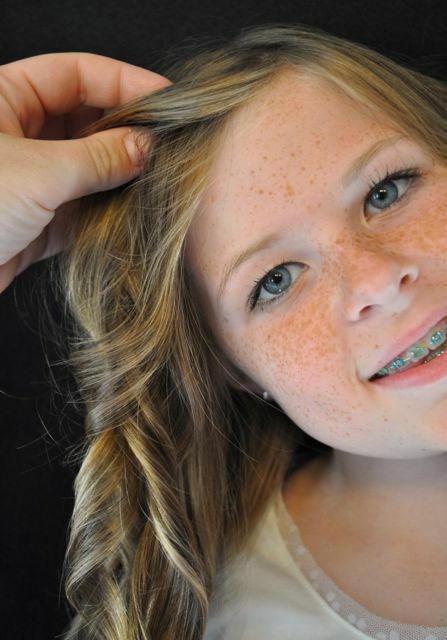 If you want tight, spiral curls, then you can leave the curls as is. If you want looser, more natural curls or waves, then you can fluff up the hair a bit at the crown to give a bit more volume, and use your fingers to split and separate the curls. You can also flip your head upside down to loosen the curls and give more volume to your hair as well. Add a light spray of hairspray over your curls to help set them. My daughter wanted looser curls, and I wanted to try medium-tight curls on my straight hair. We got exactly the looks we wanted with Conair Curl Secret! I am absolutely in LOVE with the Conair Curl Secret, and think it’s a steal at $99 at Walmart. For less than it costs for a cut and color for my hair, I can have multiple new hairstyles and transform my look many times with the Curl Secret. An extra bonus to buying it at Walmart is they offered me a two year warranty on the appliance for only $9, so that if anything happens to the machine for two years, I can get a replacement. Love that! Be sure to follow Conair on their Facebook and Pinterest pages for all the latest in hair. If you have any questions about Curl Secret, I’d love to answer them for you! Leave a comment and tell me what you think about this fun new product! Thanks so much Jayna!! I never thought that I’d be able to get curls like this in my hair, let alone do it by myself! The Curl Secret is amazing!! Your hair looks great – I’m very tempted to go out and buy one! Sure all these secrets are definitely useful to make straight hairs into curling type. I have a curl secret and it takes me forever to curl my hair, its not think but its long.. its a nice 12 inches.. how could I shorten my hair curling time?